Archivr | Find your photos on Flickr Explore Front Page. 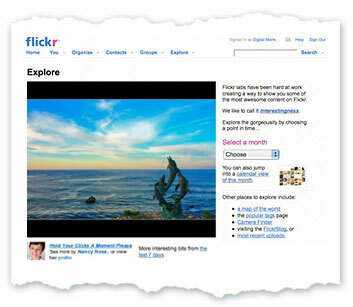 Search any Flickr user's photo(s) on Explore Front Page. View and download Front Page screenshots of your photos. Capturing frontpage screenshots everyday, since April 2009.